Unlike with most other major owners of U.S. debt, the Treasury Department kept Saudi Arabia's precise holdings secret since the 1970s. Saudi's holdings were lumped together with that of other oil exporting nations, including Venezuela and Iraq. But that policy ended on Monday as the Treasury Department disclosed precise holdings by specific countries that were previously grouped together. A Treasury official told CNNMoney the move was made following a review aimed at trying to provide more "comprehensive and transparent" data. The new Treasury report also revealed that the Cayman Islands, a country of less than 60,000 people, owned $265 billion of U.S. Treasuries as of March. That's the third-highest sum in the world and a reflection of the nation's status as a major tax haven. The Cayman Islands does not have a corporate tax, encouraging multinational companies to store vast sums of money there to avoid taxes. 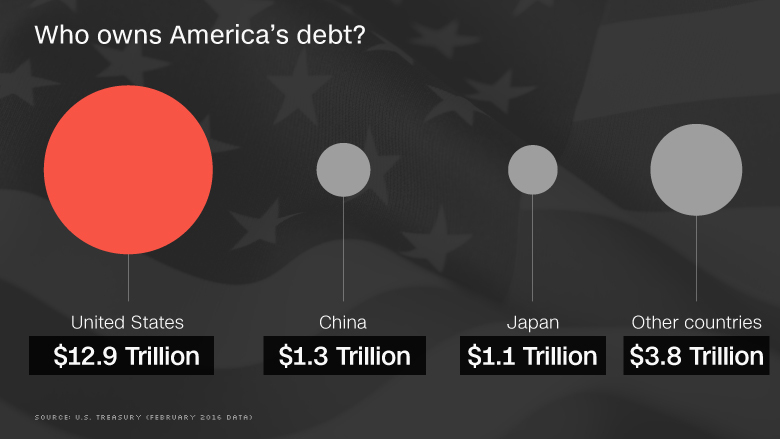 It is possible that Saudi Arabia owns even more U.S. debt than what was revealed on Monday. That's because Saudi Arabia's central bank listed owning $587 billion of foreign reserves as of March. Typically, central banks park the majority of their foreign reserves in U.S. Treasuries. In other words, the numbers don't really add up. One possibility: Saudi Arabia could be taking a page out of China's playbook. Many analysts believe China owns U.S. debt through custodial accounts in Belgium, a relatively tiny country that listed owning over $154 billion of U.S. Treasuries as of March. The Saudi mystery had taken on greater significance in recent months. Since the end of 2014 the Saudis have burned through more than $130 billion of foreign-exchange reserves -- most likely including U.S. debt -- to help cope with the crash in oil prices. The Treasury Department said Saudi Arabia's U.S. debt holdings of $116.8 billion are down from $123.6 billion in January. 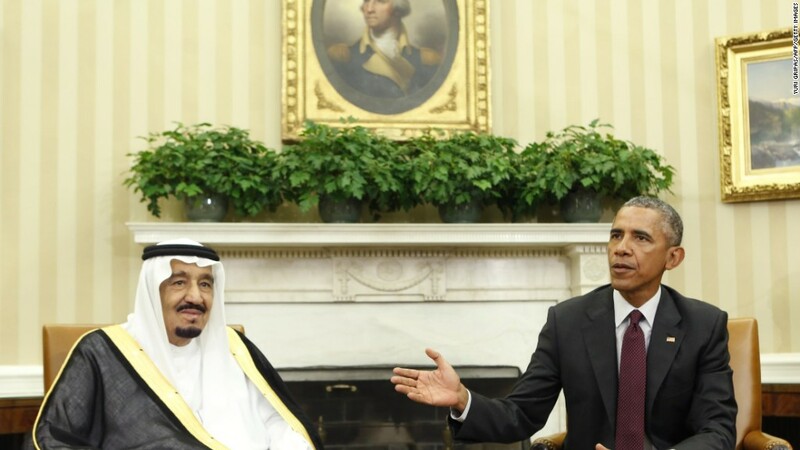 Additionally, rising tensions between the U.S. and Saudi Arabia led the kingdom to make a recent shocking threat. Sources told CNN in April that Saudi Arabia threatened to sell off American assets if Congress passed a bill that would allow 9/11 victims to sue foreign governments. A Saudi source at the time told CNNMoney that the kingdom was "serious" about this threat. Dumping a vast sum of U.S. Treasuries at once could cause the securities to tank, potentially destabilizing global financial markets. It could also severely hurt Saudi Arabia's own finances, leading many experts to conclude the threat was empty.